Producing reliable power from 1600 kVA to 1750 kVA at 50 Hz, our 3516B diesel generator sets are made to match your mission critical, continuous, standby and prime applications. Each meets ISO 8528-5 transient response requirements and accepts 100 percent rated load in one step. Depending on the model, our 3516B generator sets are designed for either low fuel consumption or low emissions — it’s how we’re helping you power responsibly. Ensure you have a non-stop power supply with our integrated control system, including ATS and switchgear, and know your fleet status with its on-site and remote monitoring options. Our EMCP 4.2 control panel, with a user-friendly interface, combines all your management and diagnostic tools. Equip your generator sets with what they need to operate to your standards with our broad range of accessories and bolt-on system expansion attachments. Find flexible packaging options to work with your environmental conditions. 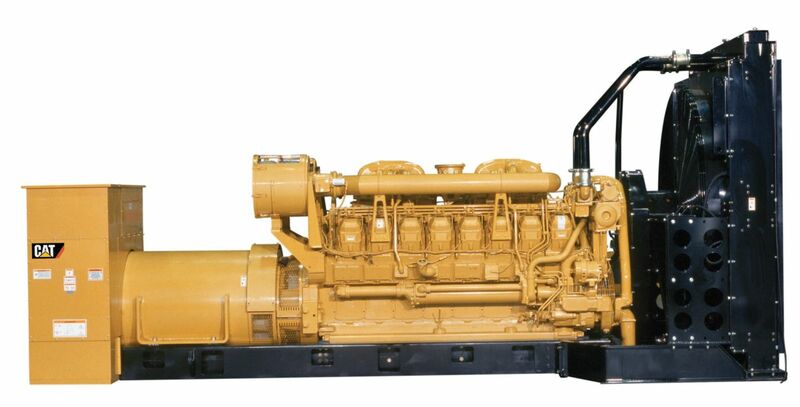 Our 3516B generator sets were designed to take on power challenges — like yours. KVAR / PF modes, RFI suppression, min / max exciter.